There are many Labrador retriever breeders but how do you decide which to visit when you are looking to buy a Labrador puppy? It is important to make the right decision as you want your Labrador puppy to be with you for many years and enjoy a healthy and long life. Ensuring the puppy is bred properly and comes from a reputable breeder will ensure that your puppy has the best possible start in life. It is unfortunate but not Labrador Retriever breeders are reputable and have the dogs interests at heart. There are some unscrupulous breeders who disregard the welfare of their dogs, who don't follow best practice and are merely concerned with creaming as much money as possible from unsuspecting buyers. They are in the minority but, if you are looking to buy a Labrador puppy, than you need to know how to tell the difference between good and bad breeders. This may be a surprising factor to begin with but the price that a dog breeder charges for his puppies can be an indicator of quality. Breeding pedigree dogs such as Labrador Retrievers is not cheap. Vet care for both the parents and puppies, providing a healthy environment and proper nutrition is expensive and those costs will be reflected in the price of their puppies. Be very weary of breeders advertising in the classified sections of newspapers offering Labrador retriever puppies at well below market price - the chances are that the puppies will not be pure bred or health checked. Reputable dog breeders will insist on showing the puppies parents and will happily prove their pedigree. If the parents can't be seen or show obvious signs of poor breeding than you show walk away. You will have loads of things to ask the breeder about the puppies and the parents and you should be able to gain a lot of insight from the way he answers your questions. His love and enthusiasm for the dogs should shine through. But, equally as important as the answers he gives you, are the questions the breeder asks you. Reputable Labrador retriever breeders will not let their dogs go to just anyone. They will want to reassure themselves that you are a fit and responsible person who will give their dog a good home. If a breeder isn't concerned with the kind of home a buyer will provide for his dog than he obviously doesn't have the best interests of the dog in mind and is only concerned with making a sale. Avoid this kind of breeder at all costs. How the puppies look and the environment that the breeder provides will provide plenty of clues as to what kind of breeder he is. The puppies themselves should be alert, inquisitive with clean coats. The kennels, or house as the case may be, should also be clean. Make sure their bedding is clean and that there is no dog mess laying around. Also look to see how the puppies behave around the breeder. They should be pleased to see him and be full of energy when he is around. If they are sullen or obviously frightened of the breeder than make your excuses and leave immediately. 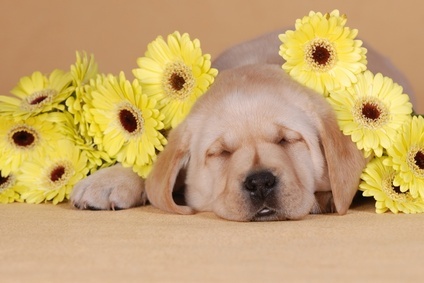 For more things to look for visit our page all about choosing a Labrador puppy. Good breeders will guarantee the health of their puppies. If he doesn't than you should be asking yourself 'why not'? 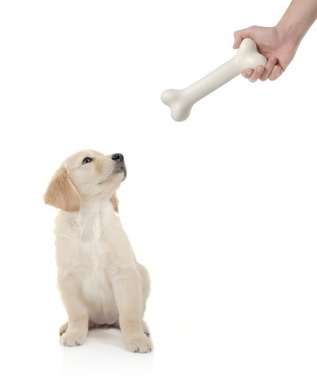 If you buy a puppy immediately take him to a vet for an examination to make sure he is as healthy as possible. For more information see our page on Labrador health. Bad breeders and puppy farmers are thankfully in the minority and by taking some easy precautions, asking questions and looking closely at the puppies and their environment you should be able to ensure that you only deal with reputable Labrador Retriever breeders.